Richard James Engineering provide a professional design, analysis and project installation service for the engineering industry and built environment. Formed in 2009 we are chartered engineers with over 25 years of design experience. Our main fields of work encompass all aspects of design relating to piping, structures and general fabrication. From concept, through to surveys, design, stress and detailed fabrication drawings, we help our clients fulfil their capital projects. 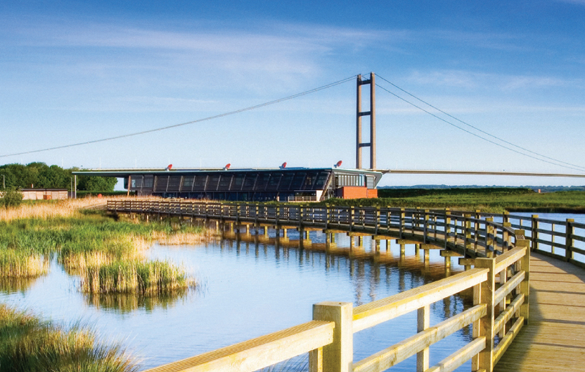 Based in Barton Upon Humber, near Hull our offices overlook the iconic Humber Bridge, an ideal central location to support our UK wide network of clients. Since Richard James Engineering was formed in 2009 we have maintained a philosophy of using the latest digital technology and design software. Advances made in CAD design tools have realised major improvements in efficiency, cost and most importantly accuracy when it comes to engineering and industrial design. We have embraced technological advancements in the field of 3D laser scanning, digital land surveys and system analysis & with our expert design and digital modelling skills, we utilise information and data gathered from laser scanning surveys and point cloud generation. Contract awarded for the design of rail coating process plant, British Steel. Contract awarded for the design of gas pipe services, OPP, British Steel. As the New Year begins we have some exciting new projects starting in the Steel, Cement, Chemical and Process Industries along with some interesting bespoke architectural designs. At the end of the month we will see the installation of the first phase of the new staircases at the Royal College of Pathologists, London. We are not limited in our design or capabilities so use the contact form or give us a call if you have any special requirements. Select the options below to find out more about the services we offer.